RAPAPORT... The Shimansky Group plans introducing their line of jewelry to markets outside South Africa two years after it successfully receiving a patent for an innovative, unique diamond cut called My Girl. Yair Shimansky, the company's jeweler, designer and CEO first discovered the design in 2003, but waited for the patent and design registration world wide before producing the diamond. “We took the initial collection to the JCK Show in Las Vegas and showed it to a few members from the trade in a closed room to get their opinion.” he told Rapaport News. He now hopes to introduce the My Girl jewelry collection to other world markets in 2007. The My Girl diamond was test marketed in South Africa in one of Shimansky’s stores in 2005. It is cut in an eight sided square, which reflects light only from the table of the stone; this cut displays its beauty when viewed from any angle he said. “The My Girl Cut has the perfect balance of fire, brilliance and scintillation,” explained Shimansky. As the My Girl diamond is square, Shimansky cuts the diamond from crystal diamonds, which, in their rough form resemble two pyramids joined at the bottom. 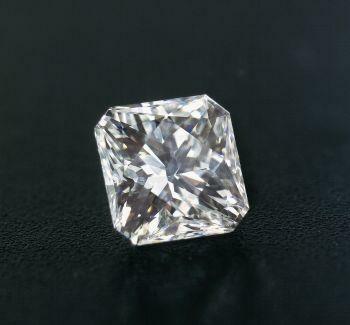 The eight sided square shape of the diamond also allows for better design and manufacturing, according to Shimansky. “You can set the diamonds next to each other thus creating a diamond to diamond surface. 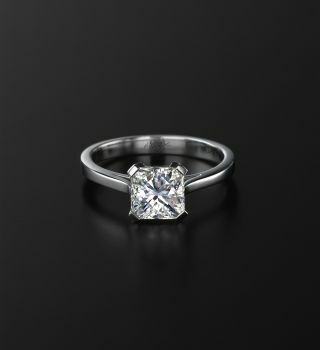 Also a solitaire ring will have flat claws, as opposed to the sharp pointed tip of a Princess Cut,” he said. The name of the cut is inspired by romance, noted Shimansky. “The diamond trade has become very technical in the past few years and consumers are confused by numbers and angles.” He expressed that the My Girl Cut will capture consumers' hearts by seeing the beauty and balance of the diamond. Diamonds and diamond jewelry are emotional purchases, usually to mark special occasions. “Romance is what the diamond industry needs most,” he added. Since production of the My Girl jewelry began, Shimansky has experienced a phenomenal response to the cut. “Our entire first jewelry collection sold out within the first five weeks. We are currently on our third production with over 120 designs,” he noted. Shimansky is a native of Israel and started selling jewelry in Japan in 1989. He arrived in South Africa in 1991 and started the Shimansky Group from a flea market stand in Durban. The group now operates 12 retail stores throughout South Africa and is currently looking for a strategic retail partner to come on board to help them penetrate the United States market.